As a professional photographer, I am collecting visual information when taking photographs, both on commission and during own projects. The statement on this site concerns both visitors of my website, clients and people being photographed. 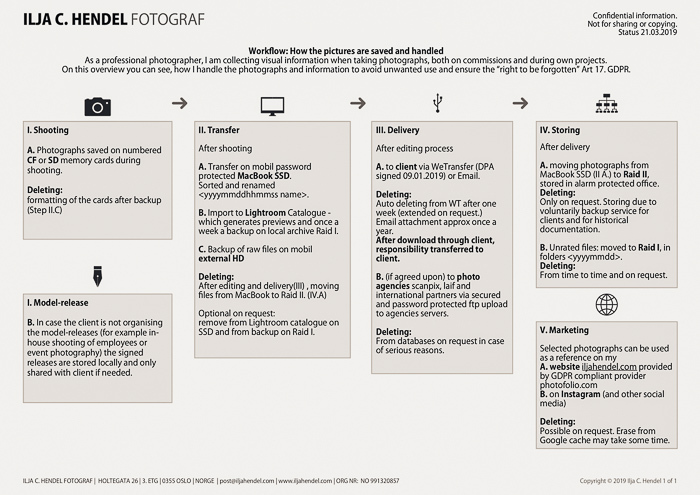 If you are displayed on an image: camera data and image information associated with image files, as well as contact information and release forms, both analog and/or digital. These information are saved on password protected computer and external hardisk and as further described in the document: <Workflow: How the pictures are saved and handled>. For syndication via photo agencies: www.scanpix.no , www.laif.de and its partner agencies. We receive the contact information from you or a mutual contractor or the equipment you use or you are part of an image I took.